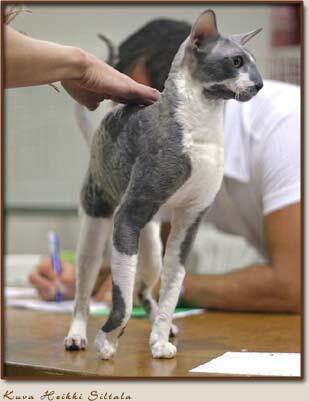 We have three cats that have won Wold Winner title. 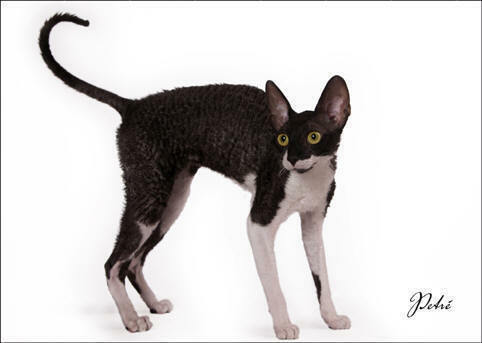 They all are black and white and FI*Piupaws cornish rexes are mostly know as gorgeour black white cats. 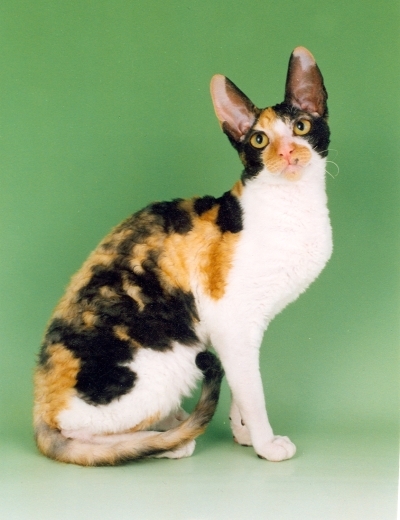 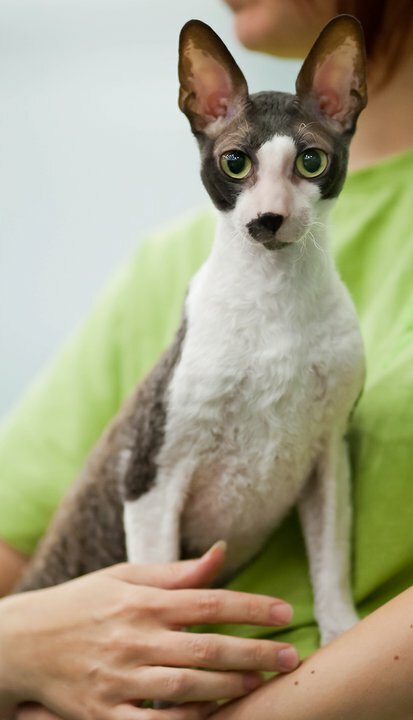 Our FI*Piupaws Clarabelle in the only cornish rex ever to have both Wold Winner and Scandinavian Winner tittels. 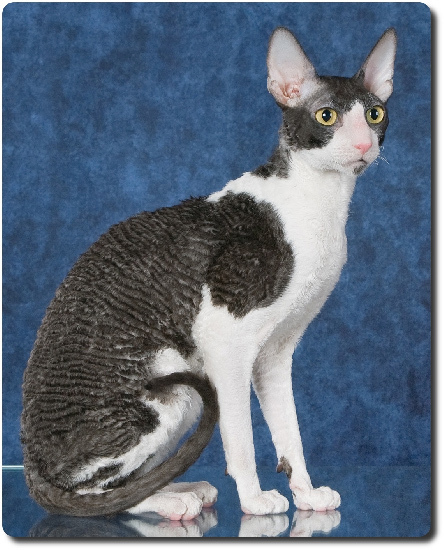 The best cornish rex adult, IV best adult in SRK, WW'08, IP, EC, FI*Piupaws "Toykiller"
The best cornish rex neuter, VI best neuter in SRK, WW'08, IP, EC, FIN*Piupaws "Toykiller"
Teh best rex breeding male WW'08, IP, EC, FI*Piupaws "Toykiller"
The best cornish rex adult, II best adult EC FI*Piupaws "Toykiller"